By Craig | January 3, 2019 | This post may contain affiliate links, which means we may receive a small commission, at no cost to you, if you make a purchase through a link. Read our Disclosure. It’s hard to believe but back in the day if you wanted to access money whilst traveling overseas, many of us resorted to carrying around a bulky packet of travellers cheques. These days, I wouldn’t even consider travellers cheques as a way to pay for travel activities or gain access to my cash. Does anyone still accept them anyways? Thankfully things have evolved as new technology and competition have created better tools for travellers to gain instant access to their money overseas. Instead, I know walk out the door with a bulky wallet full of cards designed for convenience and accumulating rewards points. But getting the right card for the right situation, and one that doesn’t slam you with transaction fees, takes some research. 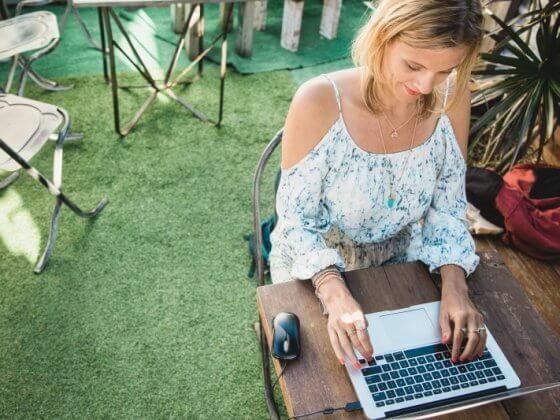 We offer lots of advice on creating a travel life you love without costing a fortune in our ebook, but for now, these tips will steer you in the right direction! We all want to reduce our bank and transaction fees when traveling. The more money we save, the more we have to spend on travel. And we all want ease and convenience. International transaction fees can be hefty when using the WRONG credit and ATM cards. I know because in our line of business our expenses alternate between US and Australian dollars. The conversion fees quickly add up. Same goes when you are traveling using your credit card for purchases, you’ll be shocked to discover how much you handed back to the bank. You’ll also be enraged at the amount you can pay in ATM withdrawal fees. It can be as much as $15 per withdrawal. However, there are some general strategies to follow so keep reading and you’ll learn about some of the best cards and accounts to access your money with, at minimal or no cost. Because the MAJOR banks have relationship agreements with other banks overseas, allowing for fee-free transactions, it’s suggested you have an account with a major bank in your home country. We have discovered an incredible solution to the problem of how to transfer money overseas. The banks usually stich you up with a 4-7% margin on the exchange rate AND then add on fees on top. It’s a good idea to take a combination of cards, plus a small amount of cash (the local currency). Small amounts of cash come in handy when you first arrive in your new destination and for establishments that don’t accept cards. Even here in Australia, it amazes me how many establishments are still CASH ONLY. You’ll almost certainly need a credit card when traveling in order to book flights, rental cars, accommodation and tours online. Plus, paying with a credit card provides some insurance and security for you if things go wrong. If you have a problem with a hotel room or tour company, you can dispute the payment with Visa/MasterCard. If you pay cash, it’s gone. Before leaving home scan copies of your cards and online bank details and store in an online cloud storage system such as Dropbox or Google Drive so you can access them on all your devices or even from a computer at a hotel. Don’t keep all your cards and cash in the same hiding place and don’t carry them all in the one wallet or purse, particularly when you’re walking around in an unfamiliar place. If there are two of you divide your cards and cash whilst you’re out and about. Which is best for travel, a checking or savings account? It can depend on what country you come from and where you are going. We once had an issue accessing our money in Thailand using an ATM card because our account with the Commonwealth Bank in Australia was a checking account. For it to work it in Thailand it had to be a savings account. We did not know this at the time, so check with your specific bank before leaving home! Your credit cards “talk” with your financial institution via a system of computer networks. Make sure your ATM card is linked to either the PLUS, Cirrus or Maestro networks. This enables you to access cash virtually anywhere worldwide. The PLUS network is associated with Visa so your Visa card will work at those ATM’s. The Cirrus and Maestro networks are associated with MasterCard. Before you leave home with just your ATM card, make sure that the Cirrus, Maestro or PLUS networks are available in the country you are visiting. As for credit cards, it’s a good idea to carry both a Visa and a MasterCard. Visa and Mastercard are universal with Visa being the most widely accepted. But always research the destination you are visiting to make sure you can use whatever card you have. Even in Australia, many businesses won’t accept American Express as they don’t like paying the higher fees, which frustrates me as I have an AMEX credit card which gives me 2 Qantas Frequent Flyer points for every dollar spent. 1. Pay for tickets and online reservations with a credit card. 2. Use credit cards or cash when dealing with merchants. 3. Avoid using debit cards for purchases – if someone obtains your information they can drain your bank account – easier to dispute transactions and get your money back on a credit card. 4. Use your debit card to withdraw cash from an official bank ATM with security cameras. 5. Use an ATM card linked to an account with modest funds, in case of hacking. 6. Set up your mailing address with someone at home you trust. If your cards are lost or stolen the bank can send your new card to that address. Your friend can then forward it to you. Banks won’t typically mail cards to an overseas address. 7. Call your bank before departure to alert them that you will be traveling outside of the country and to which destinations so your card doesn’t get frozen because of unusual transactions. 8. Have more than one card for backup – carry in separate locations in case one gets stolen or eaten by an ATM. 9. Set up online banking so you can access your accounts from anywhere in the world – be careful about making transactions on public computers and DON’T forget to log out! 10. Know how to contact your bank in an emergency. If your PIN is based on letters rather than numbers, change it to numbers. Many ATM’s only have numbers on the keypad. ATMs often don’t have a 0 button (zero) or won’t accept PIN’s that start in 0. Go to your bank and change your pin to four digits that don’t include zero. Know your PIN number off by heart – never carry it around in your wallet. Always cover the keypad with your hand when entering your PIN number. Scammer’s got the better of me here in Australia by draining my account of $1,200. They use little cameras to capture your card and PIN number details. Fortunately, I was refunded the money! Firstly a DISCLAIMER – We are not financial advisers and this information does not constitute formal financial advice. Everyone should always make their own inquiries and decisions about whether a financial product is suitable for their needs. It’s important that you do your own research, in your own country, with your own bank, and work out what is the right combination of credit cards, debit cards or travel cards to meet your own individual financial needs. What works great for one traveller from a particular country, may not suit another. The suggested cards listed below are based on getting the best credit card with no transaction or ATM fees – not based on the best card for earning reward points or status levels. To save money on fees whilst traveling the 28 Degrees MasterCard from GE comes highly recommended. 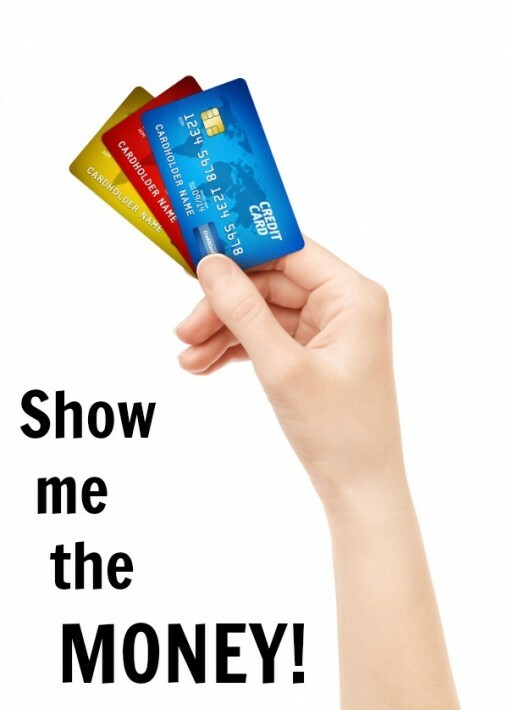 For other credit card options and comparisons in Australia click here. The Chase Sapphire Preferred Card is widely considered the best travel credit card for Americans. No annual fee first 12 months. The ability to earn 40,000 bonus points. For other credit card options Nerd Wallet is a site that helps you to determine which credit card is right for you! The Halifax Clarity Credit Card comes recommended. There are zero extra costs as long as you pay off your balance in full every month, otherwise you will be charged £12 if you pay your balance late. If possible, get a card that offers reward points and travel benefits as it adds up overtime! Want to compare rewards cards? For Australian residents check out the list of rewards cards here. For USA residents check out this rewards card list by The Points Guy. Disclaimer – Abroaders is an affiliate link – we know the founders, we like and trust them and they can save you a ton of money on flights! Debit cards are a good alternative to credit cards. Not everyone has a credit card, but most people at least have a debit card. The other benefit is there’s no risk of overspending with a debit card because it’s your money on the card to start with, not your bank’s money. Debit cards also come with either MasterCard or Visa logos, so you can use them everywhere MasterCard or Visa credit cards are accepted. Well that depends on what country you come from. Unfortunately, we can’t offer advice to every nationality, but you can still apply the below tips and seek a card with similar features! The card that comes most highly recommended for Australian’s is the Citibank Plus Account. Fee FREE overseas ATM withdrawals. Free international money transfers from Australia to other Citibank accounts in 25 countries. This account operates with a Visa debit card, so you can withdraw money from your account at any ATM that accepts Visa. If you find a Citibank ATM, you can use your card free of charge. Citibank has an international network with over 20,000 ATMs globally. No fees for any ATM withdrawals in Australia of $200 or more. 2.5% charge for overseas purchases. If your bank is a member of the Global ATM Alliance you’ll be able to access ATM’s at other member banks overseas for free. For example, Westpac has a partnership with Bank of America, Deutschebank, Barclays, Scotiabank & BNP. If you take money out of a partner bank, you will not be charged an ATM fee by either bank. Check with your bank which foreign banks are global alliance partners. The Charles Schwab debit card is commonly mentioned as the best travel debit card out there for both domestic or international travel. You can use any ATM in the world and Schwab reimburses all the ATM fees at the end of each month. unlimited reimbursement of any ATM usage. Capital One seems to have a love it or hate it reputation. However this particular account has good reviews and benefits for travelers. If you just bank through them online using the Capital One 360, there are no fees on any withdrawal outside the Capital One network. 38,000 fee-free Allpoint ATMs and 2,000 Capital One ATMs. The Norwich and Peterborough Building Society’s Gold Classic Account comes recommended. This account comes with fee-free foreign transactions. They will not charge you for withdrawing money from an ATM abroad, handy for anyone that regularly uses their card whilst traveling. Also the Metro Bank Current Account (for Londoners). There are pros and cons to using a travel money card. From personal experience and research we figured the pros were leaning slightly more towards ease, accessibility and reduced fees. You aren’t going to escape bank fees, but you can investigate to ensure you can pay as little as possible. Remember when researching that ease and time can sometimes be as valuable as a dollar saved here and there! These cards do have a ‘reload’ or an ‘initial load fee’, but if you use this card intelligently, these fees can be significantly cheaper than using a debit card to access your money. 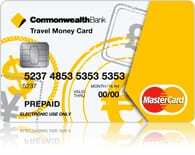 For a past trip to Thailand, we decided to use a prepaid travel money card for the first time, and spoke to our bank in Australia, the Commonwealth Bank, about their prepaid travel money card and were happy with what they offered. It had no currency conversion fees and other useful features such as the option to load Thai Baht and Vietnamese Dong. This makes the card a great choice for Australians since South East Asia is a very popular Aussie destination. If you are visiting several countries on your trip then you just load up your budgeted amount for each currency, and you can load up to a total of 6 different currencies. When you are in that country, it will automatically pull from that currency for you. You know how much you are spending and you can track it all online. Should you need more money you can easily reload your Travel Money Card from your bank account via BPAY. Another benefit of the card is that you can lock in the exchange rate before you travel. Since writing this post, we’ve discovered the Qantas Cash card is the best travel money card in Australia followed by Virgin Global Wallet. The ability to lock in an exchange rate. How many cards you can get. (Great to have an extra card for backup). Always talk with your own bank first as you may get some extra perks for being a regular customer. Then shop around. 1. Worked out our budget for our trip to Thailand and put that amount on the card. 2. Decided how much cash we felt comfortable carrying around with us and left the rest in our room safe. We made that lump sum withdrawal twice in two weeks. It is so important to do this. You don’t want to withdraw daily as those fees will add up, even though they are only $3.50 at a time. The less you give to the bank, the more you have. 3. Being in Thailand, we did not have much opportunity to use the credit card side to it. This might be a consideration for you as to whether it is worth getting the prepaid travel card or not. We went ahead because we wanted to save on the ATM withdrawal fee. It all adds up! 4. We got caught out when we had to pay a deposit for our accommodation booked online. We could not pay for it with the prepaid travel money card, so we had to use our credit card and suffer the transaction fee. Always have a backup source to access money in case things go wrong. UPDATE (2016): We recently used the Qantas Cash Card in the US. If we used it as a credit card, we received Qantas frequent flyer points. 1. To reload via online banking you needed to have a code sent via SMS. I never put data roaming on my phone overseas as the charges are ridiculous. The other option was to reload via phone bank. Again, unless you have Skype setup, expensive overseas calls will add up, as will the inconvenience of finding a phone and being put on hold! 2. To reload your card via Bpay takes 3 working days. In the world of instant banking I find this insanely STUPID. I certainly was not happy when we unexpeWe were left stranded on a weekend with no money in Thailand. NOT HAPPY. (Apparently this is a BPay thing rather than a Commonwealth Bank thing). If you need to withdraw cash from your card, make sure you limit the amount of times you do this. Get enough to last for several days (store some cash in your hotel safe). You will becharged fees for withdrawing money from the ATM, but it is much cheaper than if you were to use your normal ATM card. Plan and budget your money carefully and then spend wisely. Each time you reload more money onto the card, you will be charged a fee, so the less reloads the better. When purchasing overseas always use the MasterCard functionality of the card at point of sale. It will be your money you will be using, but having that MasterCard symbol means you can access it as if it were credit. When you do that, you avoid any transaction fees. For a trip that involves multiple destinations, I think prepaid travel money cards are an option. 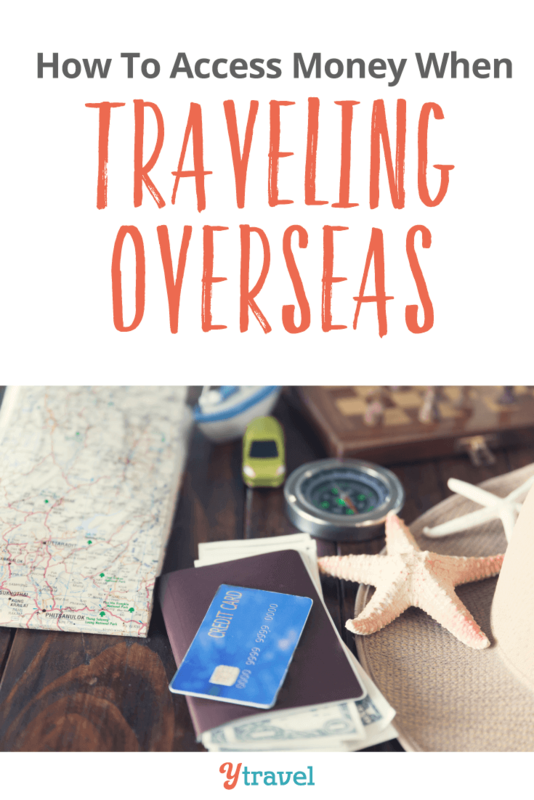 For shorter trips, in countries such as Thailand, where the credit card facility options are less, you might want to consider other ways to access money overseas. Lastly, by using your travel money card and not your credit card for purchases you are missing out on amassing points if you have a credit card attached to a points program. Something to think about. For all travel money card options and comparisons click here. If you have bills to pay at home whilst you are away, set up automatic payment methods and direct debit. You don’t want to be on the road somewhere worrying about that payment coming due. My mother is our Power of Attorney, so if we ever need any documents or accounts signed, she is able to take care of this for us which makes life easier! Learn and understand how to use it. We have used it around the world for years with no security problems. Always log out of public computers and have a netcode password entry. Monitor your account and change your username and password periodically. 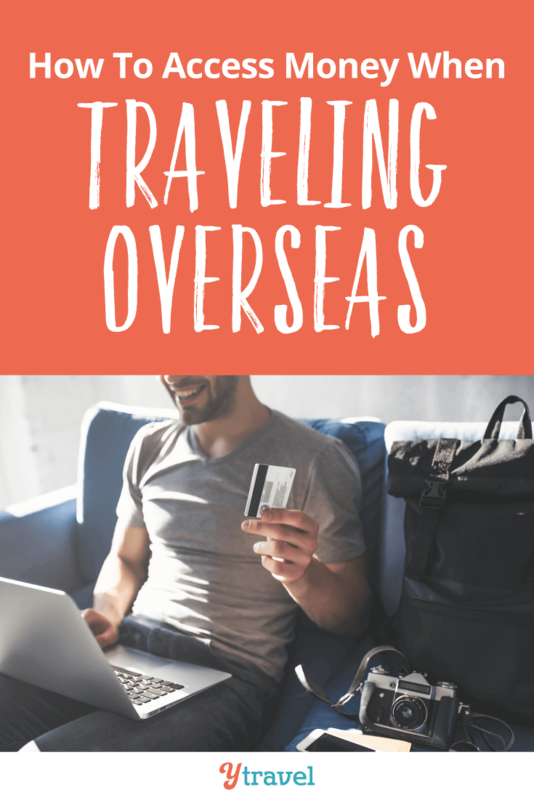 If you want even more tips for saving money on travel with hundreds of strategies for cheap or free travel, then grab yourself a copy of our ebook. What cards and strategies do you use to access money whilst travelling? Thanks for a great post! Trying to figure out all this would have driven me crazy!! I purposefully opened up a Charles Schwab account to travel abroad. The only time I had trouble using the debit card with atms was in Japan but that was just because some of them only accepted local cards. I also urge people to make sure their credit cards have no foreign rejection fees because those definitely add up. Thanks for the heads about about Japan Melissa. I dig your advice. Having traveled for some 40 months in a row I appreciate your insight. I feel that using cash is the way to go. Heck, in most places we visit it’s the ONLY way to go, as many countries do cash only deals. This means using debit cards and ATMs of course. Having an ATM eat our cards in Bali and Thailand, and then waiting for our banks to send cards to the US, then have our families ship them over, while we used other cards, I’d say to have plenty of cards handy in case something happens to your current cards. In addition to these money access tips I’d simply say don’t be too flashy with your money. Most people are trusting and nice around the world but some folks who see you counting your stash or fat roll by an ATM may see an opportunity. Simply withdraw and count in some other spot away from the ATM. Also, if you can, try to use ATMs connected to banks. Maybe they can’t open the ATM if your card gets eaten for security purposes but perhaps they might. Not a likely scenario but we all know by now that folks in some countries are more likely to break rules, even if it seems unlikely at the time. Yeah, cash can be king when negotiating deals, that’s for sure. I hate it when the ATM’s eat cards, happened to me to so I know your pain. And good point on using ATM’s connected to banks! Perfect timing! Hubby and I are going to London (from the US) this spring. We currently don’t have any credit cards because we always pay for everything with cash or our debit cards. It’s worked for us traveling all over the US and for our honeymoon in New Zealand. However, we have thought about getting a credit card to use to earn travel rewards. We were discussing how that, along with our debit card and some cash would be probably be the best idea in case of loss or theft. I can’t wait to look into some of the links you’ve provided. Thanks so much! You should consider that Charles Schwab account and check out that link to the Points Guy I mentioned for credit card options for Americans. Craig, Capital one 360 checking account for Americans is the best option for travel, hands down. I never get charged a fee. Also heard very good things about Charles Schwab. Great advice on the Power of Attorney. Will be doing that soon. Thank you! Hey Brenda, almost every American traveler I know recommends either Charles Schwab or that Capital one 360 account. Are you serious! GE finance! Aren’t these not much better than loan sharks! Question. – is this a sponsored post? IF it was sponsored it would be disclaimed as being so. And it clearly isn’t as we have listed a huge amount of bank and credit card resources. Please remember you are one person with one experience. The GE finance was listed as it comes highly recommended. We’ve also used them before and never had a problem. WE offer a range of resources, its up to each individual to take the personal responsibility to decide if it is for them or not. i still think bringing cash along to other countries will benefits the most. great tips. I use Charles Schwab and just love that card! It’s great for travel. Another tip: If travelling to China, get a UnionPay card. Almost no-one accepted Visa or MasterCard when I visited Beijing and Shanghai. With regards to travel cards, I’ve found the exchange rates offered by Australian banks in particular don’t compare well to converting cash overseas. I usually just take over Australian dollars as cash and convert at the destination, seems to work out much better for me – but as you said, there is the risk of not getting the money back at all if things don’t work out when paying for things by cash. Thanks for the heads up on China Steve! 28 Degrees Mastercard from GE has been highly recommended in Australia by quite a number of people. I have not used it yet, but if you live in Australia, it is definitely one to consider. I may well get one for my next trip.